The Victoria Falls constitutes on of the most spectacular natural wonders of the world. 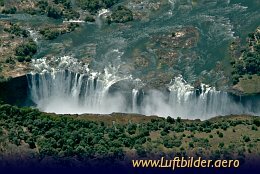 The Falls are 1708 meters wide and make the largest curtain of water in the world. An average of 550000 cubic metres of water plummet over the edge every minute.